Keep an eye out for live performances by Leeny and Tamara in the northeast where they are based (Leeny in MA and Tamara in NY). “The thing that parents like most about our live shows is that the kids become a big part of the performance,” says Tamara. “We get the kids involved, asking questions and teaching them vocals right there to sing along.” Leeny adds, “It helps make the songs and the shows even more memorable and special for everyone. 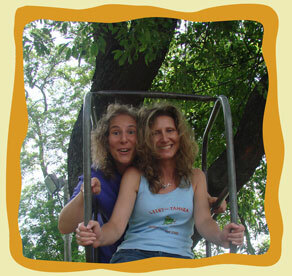 And the parents end up having as much fun as the kids!” Leeny and Tamara are also available for school and educational programs, and writing custom songs for special projects. Leeny’s debut CD, Be Nice (2008) by Leeny and Steve, garnered several honors including a Parents’ Choice Award and a Children’s Music Web Award as Best Recording for Preschoolers, and was named to the Best Music of 2008 Recommended List for Your Family from Common Sense Media. Tamara has released three albums – Miserably Happy (2008), Right This Minute (2005), and A Little Space Left (1998) – independently under her own name and label, and has been hailed by NY critics as “one of the best songwriters in town.” The pair first met at Berklee College of Music in Boston as songwriting students in the early 90s. Sharing the Same Stars reunites Tamara with producer, multi-instrumentalist, and arranger Art Hays, who produced her previous two albums. 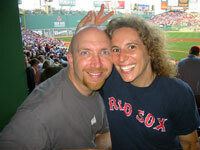 Leeny lives in Gloucester, MA with her big bald husband Nick, and Tamara resides in New York City with her husband, keyboard player, producer, and composer Henry Hey. are sharing the same stars." 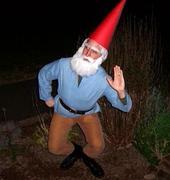 and parts, and he hears things that nobody else picks up." that they can grow into." One of the more ambitious songs on the CD is “Across the USA,” a marathon of a song with lyrics that include facts about every state. “I had this vision that next July 4th, Tamara and I would kick off a ‘50 States In 50 Days Tour!’” Leeny says. “It’s always been a little dream of mine to visit all 50 states and this seems like the perfect opportunity!” Tamara chimes in, “Maybe for the next album we should do a song about Italy or Paris… I’ll sign up for that tour right now!” In the meantime, keep an eye out for live performances in the northeast where they are based (Leeny in MA and Tamara in NY). 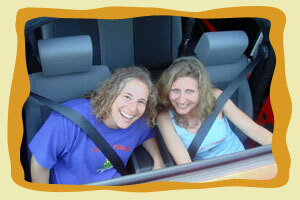 They are also available for school and educational programs, and writing custom songs for special projects. It may have taken Leeny (Ilene Altman) until middle age, but this late bloomer finally figured out what she wants to do when she grows up… write and perform kids’ music! And now she’s making up for lost time. Leeny’s 2008 debut children’s music CD, Be Nice by Leeny and Steve, garnered several honors including a Parents’ Choice Award and a Children’s Music Web Award as Best Recording for Preschoolers, and was named to the Best Music of 2008 Recommended List for Your Family from Common Sense Media. 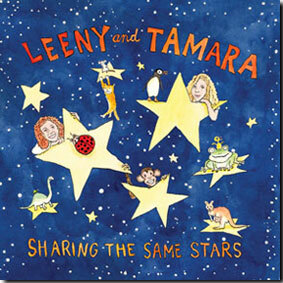 Her 2009 sophomore release, Sharing the Same Stars by Leeny and Tamara, teams her with longtime friend, NYC singer/songwriter Tamara Hey. Proud to be born and raised in the great state of New Jersey (Exit 135 on the Garden State Parkway), Leeny was the only kid in the neighborhood that would have to ask her Brooklynite parents to turn down their stereo because they were blasting opera... again. 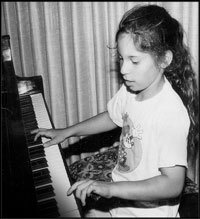 A classically trained pianist from age six, she grew up listening to the music of her three older brothers – The Beatles, Billy Joel, and Dr. Demento (those were not her brothers, that was their music) – and putting up with her incorrigible little sister, whose misdeeds would one day become immortalized in song. Leeny overcame what was sometimes debilitating shyness in her childhood to become an exceptional classical pianist, All-County softball third baseman, and National Honor Society student. Torn between a love for music, sports, and writing, Leeny wasn’t sure what to do next… she attended Cornell University and received a B.S. in Communication, while also DJ’ing at the college radio station, and playing keyboards and singing in an angst-ridden rock band. She still wasn’t sure what to do, so she attended Berklee College of Music in Boston for a couple of years (where she would meet Tamara) and earned a B.M. in Songwriting. Still not sure what to do, Leeny joined her friends and moved to Nashville for a few years. She kept writing music for fun, including two Christmas songs with fellow Berklee alum and folk artist, Gillian Welch, but with no interest in getting involved in the music business. Instead, she dove into the film/video industry and became a production coordinator, DJ’d part time at a country music radio station, and performed on a few friends’ albums and commercial jingles. Still not sure what to do, Leeny followed her heart and moved back to the Boston area. She met her big bald husband Nick playing Frisbee at Singing Beach (now also immortalized in song). Leeny started writing corporate music and scripts, and learned that she could create fun, catchy songs about absolutely anything, and enjoy it! Then her little sister Hilary, who lived in the Bay Area, had a baby, so Leeny and Nick went west. Hilary’s persuasive son Zak finally helped Leeny figure out what to do... write songs to entertain and educate him! Leeny is back on the east coast now and lives with Nick in Gloucester, MA. When she’s not writing songs about ladybugs or stinky diapers, Leeny likes to mountain bike, act like a goofy Boston sports fan, and pick berries. New York City has the tendency to shape one’s character. This is certainly true of singer and songwriter Tamara Hey. Born and raised in the Bronx, and now residing in the East Village, the fabric and soul of NYC weaves in and out of Tamara’s music. Critics have hailed her as “one of the best songwriters in town” with a “sweet voice just quirky enough to be instantly memorable/recognizable.” Tamara has released three albums – Miserably Happy (2008), Right This Minute (2005), and A Little Space Left (1998) – independently under her own name and label, the first produced by Henry Hey, the second and third produced by Art Hays. 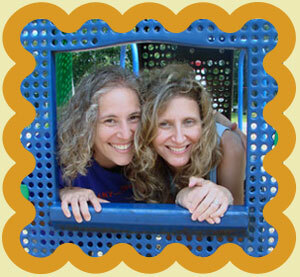 Her foray into children’s music, Sharing the Same Stars (2009) by Leeny and Tamara, reunites Tamara with producer Hays and is her first collaboration with longtime friend, award-winning children’s musician, Ilene (Leeny) Altman. 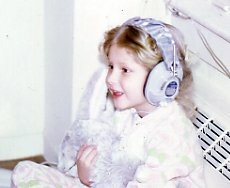 Tamara’s parents had mostly classical LPs, but squeezed in between them were The Beatles, The Rolling Stones, and the original Hair soundtrack, which became her obsession. Tamara studied classical piano and violin during her youth and graduated from New York City’s High School of Performing Arts. Totally abandoning music after high school – for a whole two months – Tamara started out as a Drama major at the University of Massachusetts Amherst. But her discovery of Suzanne Vega, Bob Dylan, and Joni Mitchell quickly drew Tamara towards her new instrument, the guitar, and her ultimate passions, singing and songwriting. After two years of performing around campus, Tamara made the switch to Berklee College of Music in Boston to study songwriting (where she would meet Leeny). After moving back to New York City, Tamara worked at The Goodman Group, where she learned the ins and outs of music publishing as well as how to use a computer! She fell seamlessly into the songwriting circles in town, including the infamous Sidewalk Café “Antifolk” scene and the Fast Folk crowd (Tamara appears on three Fast Folk Musical Magazine compilations, now maintained by Smithsonian Folkways Recordings). In those early days, Tamara opened up for the legendary Jack Hardy and Ellis Paul, and honed her craft writing about her strange neighbors and life as a twenty-something in New York City. Tamara has been playing live with and without her band on the NYC scene for years, continuously testing new material and putting together the players who make up her core band (featured on Miserably Happy): Brian Delaney on drums, Tim Lefebvre on bass, Art Hays on electric guitar, and husband Henry Hey on keyboards. Shows without the band are just as much fun, with Tamara often premiering new material at intimate music spots. She has written and sung on jingle demos for television and has co-writers in Nashville and NYC, including legendary producer Phil Ramone, with whom she recently wrote a song for a PBS television special, singing on the recording as well. 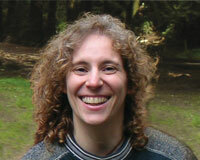 On the side, Tamara teaches guitar and songwriting to students of all ages, and performs children’s music in her “Bouncing Baby Music” classes to children as young as five months (see her website: BouncingBabyMusic.com). Art Hays has been performing and writing music professionally since 1989. While at University of North Texas on a jazz music scholarship, he toured Texas and the South, playing sax with funk band Goodfoot and also led his own three-piece rock band, Fletcher. After moving to New York, Art toured US, UK, Canada, and Australia with Matchbox Twenty playing sax and guitar on the Mad Season Tour from 2000-01. 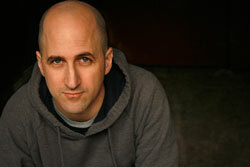 He also performed with them on Jay Leno, David Letterman, VH1, and Rosie O’Donnell. Art was also a member of Carbondale, who signed with RCA in 2001. Their CD, ’cause 7 ate 9, was produced by John Fields in 2002. Art keeps a healthy songwriting schedule. Collaborators include Jeff Franzel, Alex Forbes, Toby Lightman, Steven McMorran, Matt Stamm, Carly Greenberg, Rachel Platten, Lynne Timmes, Tom Kimmel, Sally Barris, Henry Hey, Tamara Hey, and David Browning. Some other notable names Art has worked with include Eddie Kramer, Bobby Caldwell, Myron Floren, Shawn Pelton, Mark Rivera, and Ann Hampton Callaway. How was producing a children’s music album different from what you have done before? What did you enjoy about the creation of this album, and the music? “It’s nice knowing that hopefully this audience is not as rigid or judgmental as older audiences. Having an open mind is one of the great blessings of being a kid. I also really enjoyed the fact that Leeny and Tamara tapped into their memories of kids’ music from our generation, which is music that holds up so well. My favorite records were Nilsson’s The Point, Free To Be You and Me, the first Sesame Street album, Mary Poppins and other Disney classics, as well as The Muppet Show album and the Muppet Movie soundtrack. All of those records are just pure music with lyrics that kids can relate to and spark their imagination. I really loved hearing the basic rough sketch of these songs and imagining the arrangement and what great sounds and textures I could apply to them and places I could go with them. Each song feels like a little amusement park ride to me. We have the crazy spinning rides like ‘Vitamin C’ and ‘Your Epidermis Is Showing’ as well as the sedate rides like ‘My Baby’ and ‘It’s Cool To Be You’ and stuff in between. I feel proud to have contributed to this record and am very excited to hear kids’ and parents’ reactions.